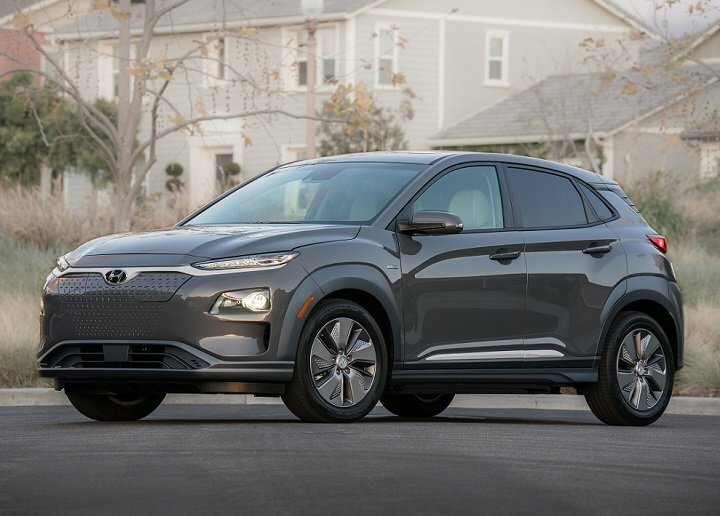 Quietly, the 2019 Hyundai Kona Electric has eclipsed the Chevrolet Bolt EV and the Nissan Leaf as the affordable electric vehicle (EV) with the most driving range per charge. Hyundai says that if you start with a full battery, it can travel 258 miles before you’ll need to plug it in again. A Chevy Bolt EV provides 238 miles of range, while a Leaf 40 kWh gives just 150 miles. 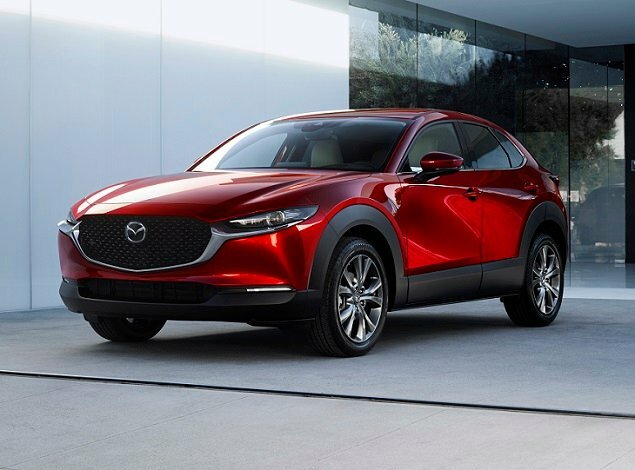 Based on the Kona small crossover SUV, the Kona Electric arrives in early 2019, initially in California and then rolling out to Pacific Northwest and New England regions, followed by other markets. Hyundai doubts that it will be available in all 50 states. Trim levels include SEL, Limited, and Ultimate, and pricing will be announced closer to the car’s on-sale date. After a short hour-long drive in Southern California, Hyundai’s EV impresses, and is clearly competitive with the segment leaders. If you find the standard Hyundai Kona off-putting, perhaps the Kona Electric is more to your liking. 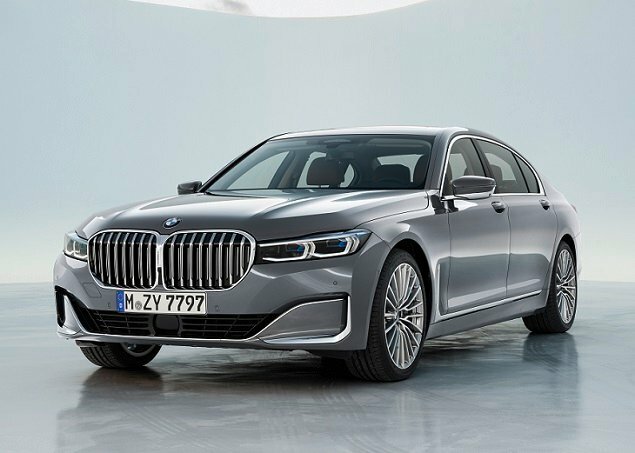 It has a cleaner look, especially up front where body-color trim and a mesh grille graphic give the EV a more mature and sophisticated appearance. Hyundai says the car’s lighting signature and lower body cladding contours are designed to mimic the appearance of electrical circuitry. You can get the Kona Electric with a black interior or a 2-tone light gray and blue color scheme. Interior design is pleasing, and the quality of the materials is high for a small car. Equipped with electronic shift-by-wire transmission controls, the Kona Electric’s center console adopts a bridge-style design with exposed storage underneath. Special instrumentation and Blue Link services are also aboard, conveying states of charge, assisting in finding local charging stations, pre-conditioning the cabin temperature while the car is still connected to the electrical grid, and more. Up front, seat comfort is good and Hyundai provides soft places to rest your arms. The test vehicle had Ultimate trim, which includes leather-wrapped heated and ventilated front seats as well as a heated steering wheel. Rear seat comfort is OK for shorter trips, but there isn’t much wiggle room and taller people will find their legs resting against the hard plastic front seat backs. Both the Bolt EV and Nissan Leaf are more accommodating of passengers. Hyundai’s new electronic transmission controls take some getting used to. They’re arranged like flower petals. While shooting photos of the Kona Electric, a situation requiring lots of 3-point U-turns, this design required more of the driver’s attention than it should. With that said, however, perhaps owners will come to find them second nature. Much of the Kona Electric’s switchgear is silver with dark markings. They lack contrast during the day, making them harder to identify and use. It might look stylish and technical, but nothing beats white markings on a dark background. Standard equipment is generous. 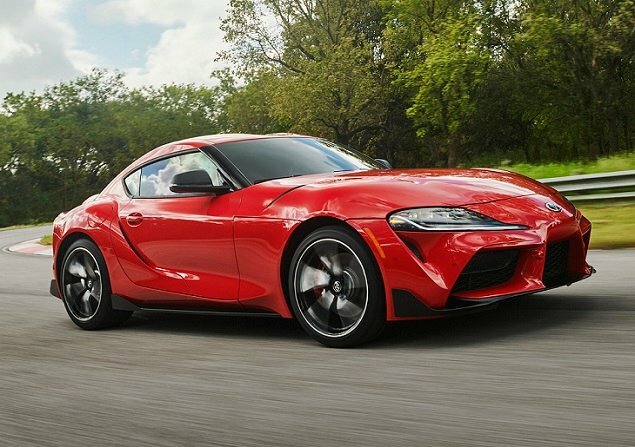 Highlights include stain-resistant cloth seats, heated front seats and side mirrors, automatic climate control with a driver-only mode, electroluminescent gauges, a 7-inch touchscreen infotainment system, and important driver assistance and collision avoidance technologies. Upgrade to Limited trim for leather, a sunroof, an Infinity premium sound system, wireless device charging, and more. Ultimate trim installs a head-up display, navigation, stop-and-go capability for the adaptive cruise control, a heated steering wheel, ventilated seats, and other improvements. Safety is standard on the new Kona Electric. In addition to structural enhancements to accommodate the weight of and to protect the battery, a full menu of driver assistance and collision avoidance systems is included with the base SEL trim. Plus, every Kona Electric features Blue Link services with three years of free access to automatic collision notification, SOS emergency calling, and safe teen driving settings. A 7-inch touchscreen infotainment system is standard with SEL and Limited trim. A freestanding design, it sits atop the dashboard in plain view of the driver. Knobs and primary menu shortcut buttons make it easy to quickly access information and perform desired functions. Ultimate trim adds a larger 8-inch display, a navigation system, and special EV displays such as a range map that shows how far you can go from where you are before the battery runs out of juice. A head-up display is also included with Ultimate trim, and this version of the car also has a stop-and-go capability that enhances the standard adaptive cruise control system. Obviously, the big difference between a standard Kona and a Kona Electric is the drivetrain. Here, the foundation is a massive, liquid-cooled, 64 kWh lithium-ion battery nestled into the car’s platform beneath the floor. It powers a 150 kW electric motor generating 201 horsepower and 290 lb.-ft. of torque, enough to spin the front tires even after the Kona Electric is already moving. Standard equipment includes an SAE Combo charging port accessible by opening a panel on the car’s ‘grille.’ It includes standard fast-charging compatibility, which is optional for the Chevy Bolt EV and Nissan Leaf. At a 100 kW fast-charging station, the Kona Electric achieves an 80% battery charge in 54 minutes. Using a typical 240-volt home charging station, the car requires 9 hours and 45 minutes to fully recharge. You’ll plug it in at night, and in the morning the Kona Electric is ready to cover another 258 miles, which is about 10 times the distance of a typical American commute. The Kona Electric is quick. Because it is front-wheel drive, you need to get the car moving before you can mash the accelerator pedal to enjoy the rush of acceleration. Otherwise, the front tires just slip and chirp. This car could really use a supplemental rear electric motor to provide an all-wheel-drive setup, but that would probably chew into cargo space. Underway, the weight of the battery is palpable. Despite a 4-wheel independent suspension, the ride can be sharp and choppy over uneven road surfaces. At the same time, though, with nearly 1,000 pounds of battery sitting just inches from the ground, the Kona Electric’s center of gravity is low, which makes it feel like its glued to the road. Three driving modes adjust the drivetrain’s character. In Eco mode, more aggressive energy regeneration helps to preserve battery life. In Sport mode, the car’s accelerator is more responsive for a livelier feel. In Normal mode, the Kona Electric drives normally. I preferred to drive in Normal mode using the left steering wheel paddle to engage the one-pedal driving function. By pulling the pedal toward you and holding it, you activate maximum regenerative coasting. The brake lights activate, and you can bring the Kona Electric to a full stop without touching the brake pedal. The trick is to gauge distances properly, and I find using this one-pedal driving function to add engagement and enjoyment to the experience. Many people, however, might not. When you buy an electric car, longer driving range equates to less ‘range anxiety.’ That’s the feeling of panic some EV owners experience when the battery charge level drops and you’re not sure you’ll make it home or to a destination with ready access to a charging station on the remaining power. After all, its not like you can pull into a gas station and fill ‘er up. If you want that kind of flexibility, you need a Chevrolet Volt, which you can drive across the country without ever plugging it in. Because it can travel 258 miles on a single charge, the 2019 Hyundai Kona Electric solves the range anxiety issue for most EV owners, just as the Chevrolet Bolt EV, Tesla Model 3, and an upcoming, more powerful version of the Nissan Leaf do. Regardless of which long-range EV you choose, one thing is certain: it is getting easier to find and buy a practical electric car. Among them, the new 2019 Hyundai Kona Electric is worthy of consideration.